Mom, movie buff, champion for women and girls. 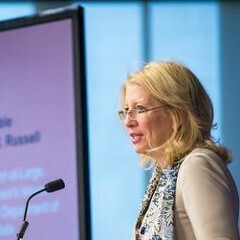 Former U.S. Ambassador-at-Large for Global Women’s Issues. A reporter once told me that he likes to ask government officials what keeps them up at night. This week, the International Monetary Fund reported that India may no longer be the world’s fastest growing economy.